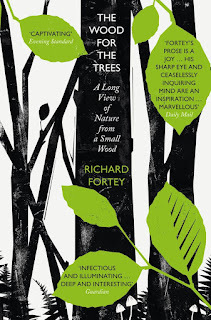 The Richard Jefferies Society and The White Horse Bookshop Writer's Prize has been awarded to British palaeontologist, natural historian, writer and broadcaster Richard Fortey for The Wood for the Trees (William Collins). From a short list of five, the panel judged that the book best met the criterion of reflecting themes or topics broadly consistent with Jefferies’ writing. 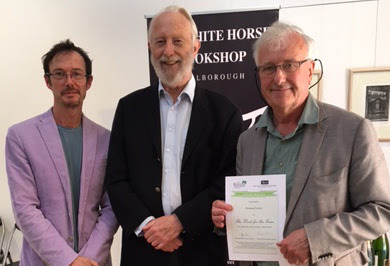 The £1000 prize was announced on Saturday 3rd June at The White Horse Bookshop in Marlborough. Following his retirement, Fortey bought 4 acres of ancient beech and bluebell woodland in the Chilterns, near Henley. The book chronicles, month by month, his developing relationship with the wood, investigating the range of species living in his territory, then expanding to consider the socio-economic history of the area, and issues involved in the maintenance of the woodland as a thriving ecosystem. The author's academic background allows for scientific accuracy in recording species, and the holistic approach to describing the woodland echoes Jefferies' approach to writing about the area around Coate, near Swindon.